Sewing Circles has never been so much fun! No worries if you’ve never sewn curves before OR if you prefer straight seams, you will leave class a Master of Curves! 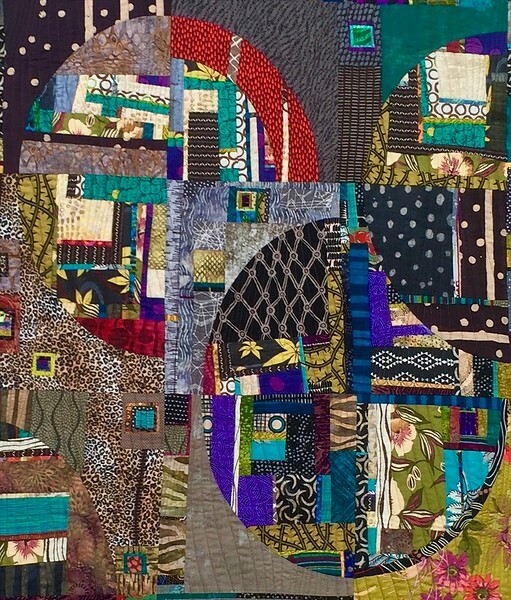 Come ready to experiment and learn new exciting piecing techniques from basic arcs to full set in circles as well as improvisational techniques. Nothing is set in stone, changes can happen and you will be encouraged to follow your instincts while exploring additional options along the way. Of course you are always welcome to follow any of the pre-planned patterns/designs step by step if you prefer. Quarter arc blocks are used to make many of the base blocks - then the fun begins by building in the extras that are individually placed from block to block.